Dell’s Early 2015 version of the XPS 13 has undergone some changes compared to last year’s model, with the most notable change being a screen frame that’s only 5mm thick at the sides and across the top. It’s an efficient use of space that makes this 13.3in laptop one of the most compact on the market for its screen size, and it looks beautiful to boot. 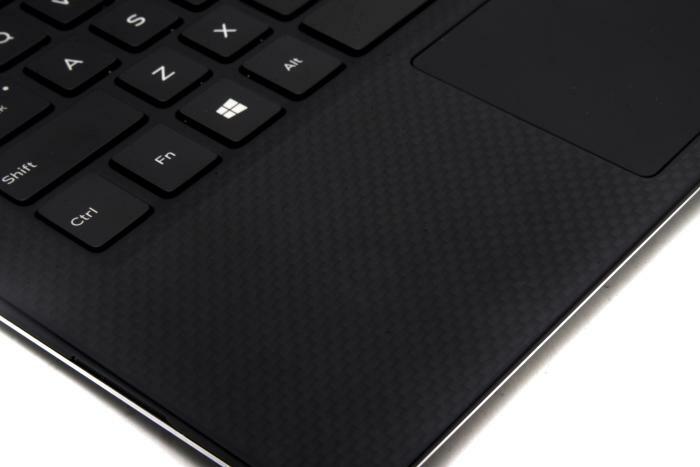 The rest of the aesthetic remains true to the XPS 13 lineage, with a carbon fibre composite palm rest and keyboard tray sitting on an aluminium chassis, and the lid sports aluminium, too. It feels as sturdy as ever to type on, and the product feels strong overall, from the base and hinges, to the lid. All of this doesn’t cost too much weight, with the unit tipping our digital scales at an impressive 1.26kg (the previous XPS 13 that we reviewed last year was 1.38kg). On the inside, the XPS 13 features a fifth-generation Intel Core i7-5500U CPU that’s more efficient than its predecessor, and it’s accompanied by 8GB of RAM and a 256GB mSATA solid state drive (SSD) with an M.2 form factor. Since it’s a Core i7 CPU rather than a lower power Core M, there is an active cooling solution installed, which means it’s not a silent laptop, and the fan can be heard to spin even during times of basic Web browsing. It’s not overly annoying. Plenty of processing power is needed, not only to fuel the laptop’s ability for working on office software, but also to drive the screen, which has a higher-than-high-definition resolution of 3200x1800 pixels. It can be quite hard to view text on the screen when the screen is set to its native size, and some adjustment will need to be made to Windows’ text and icon size. We found the optimal setting to be right in the middle. It gave us plenty of screen real estate while keeping text readable. We didn’t have any problems with the responsiveness and general speed of the laptop during our test period, and our Blender 3D test was finished in 40sec, which is an improvement of 4sec over the previous XPS 13 that we tested, which featured a fourth-generation Core i7-4500U CPU. In addition, the new model builds on the graphics performance, with 3DMark’s Cloud Gate recording 5303 (almost 900 marks better than the previous model), and Fire Strike recording 770 (over 150 marks better). An area in which the latest XPS 13 doesn’t cut the mustard is in the storage department. CrystalDiskMark showed us a read speed of 529 megabytes per second (MBps), which is a good result for a SATA-based SSD, but its write speed of 266.5MBps is well down on the previous XPS 13 that we tested (335.6MBps). For a laptop like this that’s pitched at the more premium end of the market, we would have liked a PCI Express-based SSD to be installed. The other area that’s taken a hit compared to the previous model is battery life. The higher resolution screen eats a lot of the 52 Watt-hour battery’s juice, and this meant that our battery test, in which we disable power management, enable Wi-Fi, maximise brightness, and loop a Full HD MP4 video, lasted exactly five hours. The previous XPS with its Core i7 CPU, 8GB of RAM, 256GB SSD, and Full HD resolution, lasted 7he 15min, so it’s a greater than two-hour difference. The screen does look great overall, both in terms of its colour reproduction and its physical installation in the lid, so the battery blow is softened a little. It's a great screen for photos when you want to view and edit the latest high-res snaps from your digital SLR, and this is aided by the inclusion of a full-sized SD card slot, which was missing on the last XPS 13 we looked at. SD cards stick out half way. Note that on dark scenes, such as when watching movies, the screen's backlight can be noticed. The thin frame around the screen is really one of the highlights of the show, and really makes the XPS 13 a laptop that you always want to have by your side. It has allowed Dell to keep the dimensions of the laptop to a minimum; it’s a laptop that’s only a few millimetres wider than an A4 sheet of paper is long. It feels great to whisk it up off a table with one hand and carry it away. The only thing that doesn’t feel great is using the screen for touch gestures. There is a tiny lip right on the edge that can make it feel awkward to perform swipe-in gestures as your finger has to negotiate this lip. At this point, we’ll mention how unobtrusive the touchscreen is on this laptop. You don’t even know it’s there since the screen looks so thin. And while it’s nice that it’s there, we didn’t use it for anything except scrolling in Web pages when the laptop was resting in our lap. It’s an easy notebook to use in your lap, though there are vent holes at the bottom that will be blocked, and this could lead so some excess heat if you are making the processor do a lot of work. As is usual with XPS 13 laptops, there is a little metal cover on the base that pops open to give you the service tag of the unit, should you ever need it. The bottom panel can’t be removed without a tiny Allen key, meaning the battery, RAM, and SSD are all not easy to replace by end users. That said, the memory is on-board rather than in a slot, and only available in 4GB and 8GB capacities. The entry model has 4GB of RAM and a 128GB SSD, while the other models in the range have 8GB of RAM and a 256GB SSD. Another variation in the configuration includes the screen type, which is Full HD without touch for the entry models, and 3200x1800 with touch for the two top-end models. The top end model also differs by offering an Intel Wireless-AC 7265 wireless adapter. Ours was the second-highest model in the range, and it came with an 802.11ac Wi-Fi module from Broadcom. A backlit keyboard makes the XPS 13 a pleasure to type on at night (the backlight switches off automatically when you haven’t hit a key for about 30sec), and the keys in general offer a high level of user comfort. They are well spaced, large, and they provide a satisfying level of travel considering this it’s an ultraportable laptop. We like the space that’s present around the arrow keys, and the layout is standard throughout. The function keys perform system actions such as volume control and brightness changes as their primary functions, and you have to press Fn to use the F numbers. We like that. We also like that the keys feel soft to press with a bit of initial resistance, and they are relatively quiet. The touchpad has a large size of 105x60mm (5mm wider and 2mm shorter than the previous model we saw), and it has a soft texture that makes it feel comfortable to use. Unfortunately, we couldn’t find a way to enable gestures such as three-finger swipes, which we’re accustomed to using while browsing the Web, though we were able to change the scroll direction of the pad through the Windows 8 Modern UI system settings. Ports around the chassis include two USB 3.0 interfaces (one on either side), and there is a headset jack as well as Mini DisplayPort. You’ll need an adapter if you want to use that video output port to tap into an HDMI monitor or TV. A battery level indicator is located on the left side, which comes in handy when you want to see if the laptop is charged up and ready to go without first opening it up and logging in. A couple of speakers reside on either side of the chassis, firing sideways, and they provide impressive sound quality for a laptop with such a small size. We found ourselves enjoying the music we played through them. You can always connect to a Bluetooth speaker if you want a more powerful sound. Overall, Dell has improved the XPS 13 in many ways over the previous model that we saw last year, with the design and screen being the major drawcards this time around. There are a couple of things that have gone backwards, such as the battery life and SSD write speed, but the sheer enjoyment of using this laptop can’t be denied by those negatives. It’s definitely one of the top ultraportable laptops to consider if you want something small that looks great and is comfortable to use. Note: Our review model had a quirk in which the screen blacked out when we applied pressure to the lid by gripping it from both sides and pushing in the rear with our index and middle fingers. It's an issue that we're hoping is restricted to our test model, but we haven't been able to see a replacement unit as yet.